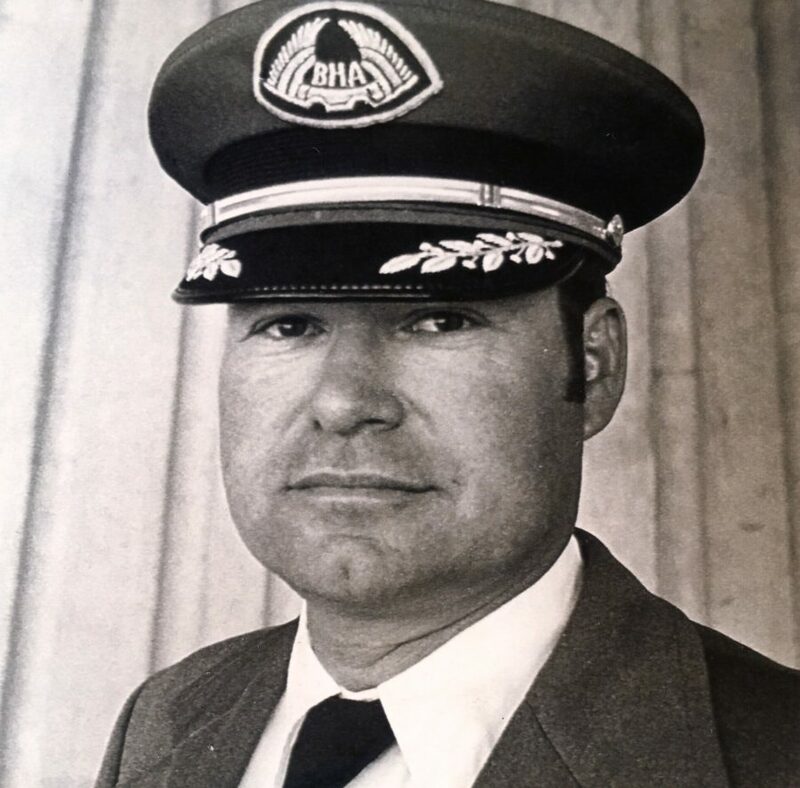 Ellsworth — On April 4, 2019 Kenneth L. Mitchell, 77, entered his heavenly home. He died from a glioblastoma. He was at home with his wife and son Bret holding him close. Ken was born November 3, 1941 in Wolfeboro, New Hampshire the son of Thomas O. and Marion (Hersey) Mitchell. Ken graduated from Brewster Academy in Wolfeboro, NH and Embry Riddle Flight School in Florida. He also completed Federal Aviation Agency for commercial Helicopters. He served in the U.S. Army in Korea during peacetime flying Huey Helicopters. He married Mary E. Brown in 1979. Ken was a commercial pilot for forty years. Then his second career was starting Mitchy’s Mittens which he loved doing. He was a member of the Maine Coast Baptist Church, Ellsworth. Ken enjoyed downhill and cross country skiing, camping, fishing, golfing, gardening, biking, hiking, boating and swimming. He is survived by his beloved wife, Mary; 2 sons, Troy Mitchell of Bangor and Bret Mitchell of Ellsworth; a daughter Lisa Marie Brace and husband Jacob of Salt Lake City, UT; 2 grandchildren, Madeline Mitchell of Ellsworth and Oliver Mitchell of Bangor; 2 brothers Thomas Mitchell of AZ, Robert Mitchell and wife Lola of IL; a sister Nancy McFarlane and husband Peter of TN; many nieces and nephews. He was predeceased by his parents and his daughter Katie Monighetti Mitchell. A service of remembrance will be held 2pm, April 27, 2019 at Maine Coast Baptist Church, 867 Bangor Road, Ellsworth. In lieu of flowers those who desire may make contributions in Ken’s memory to Forgotten Felines (taken at the Small Animal Clinic) 9 Toothaker Lane, Ellsworth, 04605. I was so sorry to read of Ken’s passing. I have a lot of fond memories of him and your family on Essex Street. Troy, Bret, and Lisa were always at our house playing with Scott and Todd and vise versa. Seems like an eternity ago. Please know that you are all in my thoughts and prayers. May Ken R.I.P. Mary and Family, Karoldene and I are so sorry to learn of Ken’s passing . Our deepest condolences to you and your family. How very, very sorry I am to hear the news about Ken. Such a wonderful, warm, person he was. I always enjoyed our conversations. I hope that you are coping well. What a difficult journey you have all been through. Mary I’m so sorry to hear about your dear Ken. My thoughts and prayers are with you and your family.